Make your next celebration unforgettable and serve ‘em ICE CREAM! Planning a wedding with a sundae station? 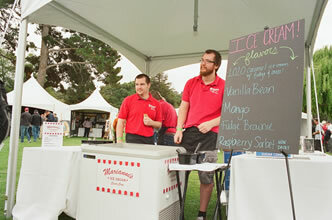 Looking to sell cones at your special event? We can help! We can staff scoopers, provide the freezer, the cups, the cones, you name it! And of course serve great ice cream! Contact us with the details of your event and we’ll coordinate with you!